The renewed interest in home preserving is a trend I hope will long continue. A desire to be more self-sufficient and, hopefully, a little less wasteful has in recent years sent many more of us foraging and gleaning, reaching for the jam pan and bottling our finds. 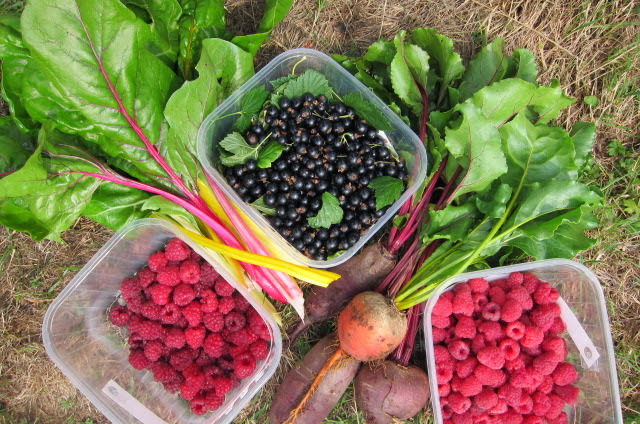 Eliza Acton, Constance Spry, Jane Grigson and the Women's Institute were where most of us turned for guidance when faced with a hedgerow harvest or a glut on the allotment. Often, these days, the first port of call is the internet. However, some good preserving books have hit the shelves over the past couple of years. Diana Henry's Salt Sugar Smoke is one of the best I've found. Having an old tried and tested recipe for strawberry jam is a wonderful thing, but, in the pages of these more recent books lies inspiration for preserving the less obvious pickings. These recipes are also more likely to retain the flavour of the prime ingredient at the forefront. This may mean the preserve won't keep so long. Times change and our tastes change too. Preserving is not all about jams. However, as the fruit:sugar ratio of that preserve has excited so much debate recently, I will come off that particularly sticky fence and declare myself in favour of using less sugar. I'm more interested in tasting the fruit than having jars of sweet unidentifiable spreads lining my larder. My level of preserving is modest so I'm no expert and I'm always on the look-out to see who's doing it well. It's a crowded market and I've tried and tested aplenty before settling on a personal favourite. Sky Cracknell and Kai Knutsen began making jams in their home kitchen in 2001. Selling initially on Farmers' Markets, their England Preserves are now stocked by an impressive list of food shops, cafes and restaurants. Fruits are sourced as close to their Bermondsey base as possible. At this time the focus of their attention is the apple, pear and quince harvest. They take full advantage of the fantastic crops from Brogdale in Kent. Fruit butters such as 'Salcott Pippin & Cinnamon' and 'Beurre de Beugny Pear butter with Vanilla' are favourites in our house right now. We are also just coming to the end of our stock of Bergeron Apricot Jam. 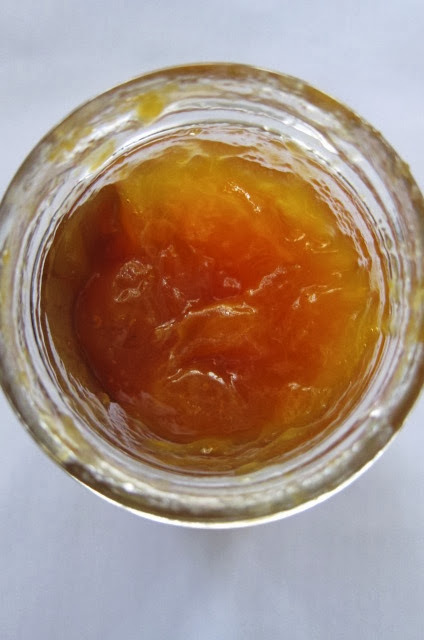 The vibrant colour and stunning apricot taste of this jam convinced me I'd found my favourite preserve-maker. Jams, fruit-butters and fruit-cheeses (Damson, first this season, and now Quince) are made in small batches, cooking the fruit gently to retain "flavour and colour" and using as little sugar as possible. It's a sympathetic approach which I can relate to. When my own fruit harvests are exhausted, England Preserves is my larder. See website for list of stockists.